In children and adults, splinters are common under the fingernails but the reaction of everyone's body to these splinters is different and depends on the nature of these lesions. In general, large and deep splinters under the fingernail are hard to manage as compared to superficial ones that may not require any type of supervision from the physicians. Complications such as infection, granuloma formation and inflammation can occur if the deep splinters are left untreated. Have the tweezers sterilized by putting it in boiling water or rubbing alcohol on them. After sterilizing the tweezers, wash your hands before touching them. Before removing the splinter, pass water over the nail and at the location of splinter so that your nail does not get infected. You may also gently rub the area with alcohol. If your nails are long, cut the nail where splinter is located before removing it. In this way, you can have a better view of the area. Sit at a well-lighted place so that you can see the splinter under fingernail clearly. With the help of tweezers, grab the part of splinter that is exposed. After getting grip over the splinter, pull it from skin in the opposite direction where it was inserted. It is possible that there are 2 or more pieces under the fingernail. If you cannot remove them completely, visit your doctor to remove the portions remaining inside your skin. Splinters sometime get inside the skin fairly deep and it is also likely that none of its part is visible from the skin's surface. In such cases, you can use the needle to expose a portion of it and then hold the ends with tweezers. The procedure can be done with any type of needle, but make sure it is sterilized. Enter the needle towards the splinter's end below the nail and then pry the end of splinter outwards. If enough portion of splinter is exposed, use tweezers to hold it and pull out. After removing the splinter from your skin completely, wash the area where splinter was located thoroughly with water and soap. After cleaning the area, apply an antibiotic ointment so that your skin remains safe from bacterial infection. You can apply Polysporin or any other antibiotic ointment. In case of bleeding, you can control it by applying bandage over the affected area. Prevent infection by maintaining optimal hygiene after the removal of splinter under fingernails. The affected area is very painful. You can see swelling and redness around the affected area. There is a lot of bleeding pouring out of the wound. The splinter is embedded in such a way that you can't reach. Your doctor can help you remove the deep splinter and prescribe some antibiotics to fight infection. Some doctors also prefer giving local anesthesia before removal to reduce pain. In some cases, doctor may need to remove part or even all your nail to get the splinter removed. It is a method tried and tested by many people and works best on the superficial splinters. 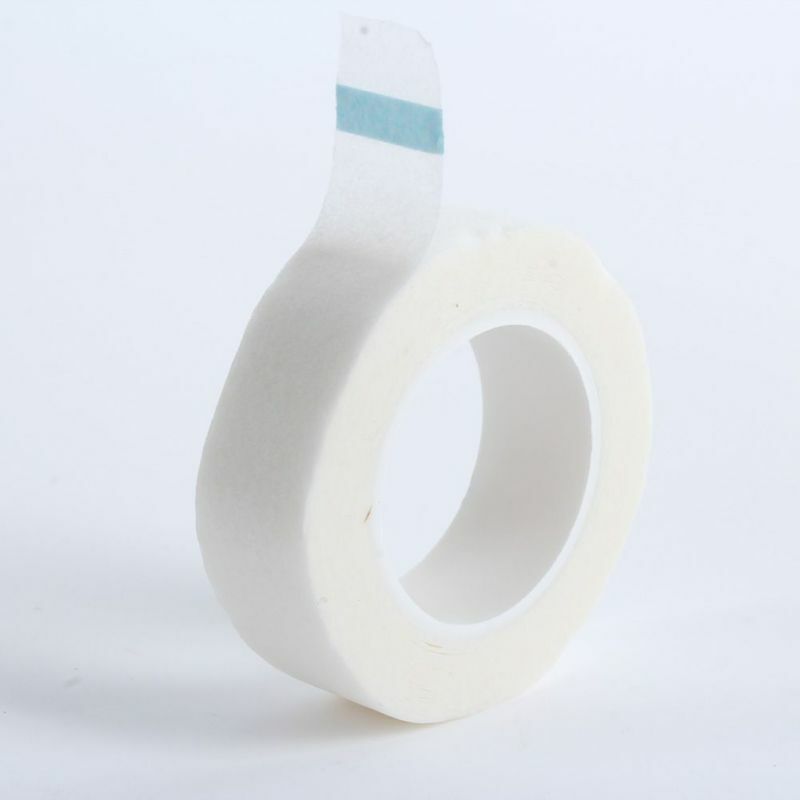 Take a small piece of tape that is enough to cover the affected area and apply it to the splinter. Pull it off rapidly to bring the splinter out of your skin. 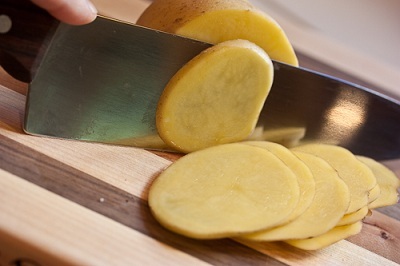 Make thin slices of a potato and place the skinless side over the splinter. Leave it there for 10-12 minutes. If you decide to leave it overnight, secure the slice with bandages so it remains there. Splinter will come out when you remove the slice. It is one painless way to remove the splinter embedded deeply under your skin. 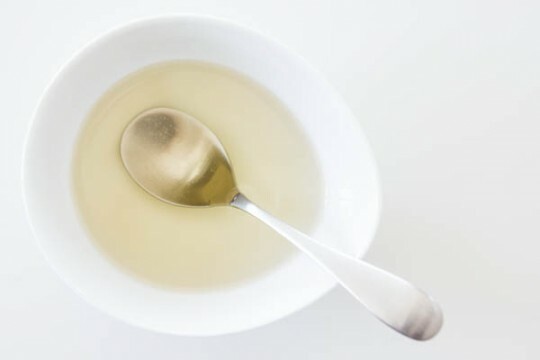 Take some vinegar in a bowl and place your finger in it for 20-30 minutes until the splinter under fingernail gets soft. Then pull the splinter out gently. If you can't see it, place your hand in warm water for some time and then again in vinegar. If you are unable to grip the fine splinter with the help of tweezers alone, you can use your hair removal wax. 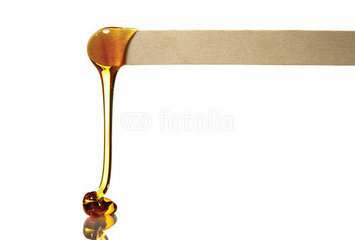 Apply some heated wax over the splinter, covering all the exposed portions. After applying the wax, place a fabric over it (before it dries out) and grip the end to tear it out quickly. 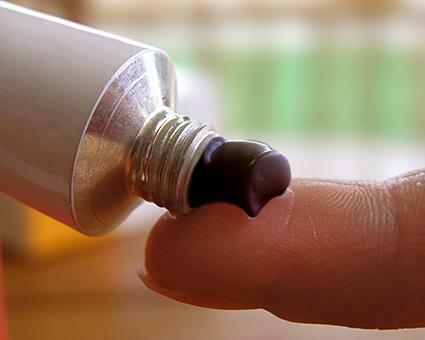 Ichthammol ointment is a good solution for the splinter under fingernail. Apply 20 % ichthammol ointment two times a day and keep it covered. It will help draw out the splinter. Keep the ointment away from metallic surfaces and your eyes. Avoid going out in high temperatures (more than 86 °F). The method should be tried after attempting all the other options as it may cause swelling in the skin. Combine 1/4th teaspoon of baking soda with water and mix to make a paste. Clean the area where splinter is located, then apply the paste and cover with a bandage. Leave for 24 hours, and then remove. This will pull the splinter out so you can remove it with sterilized tweezers or needle. If you still can't see the splinter, repeat the procedure once again.